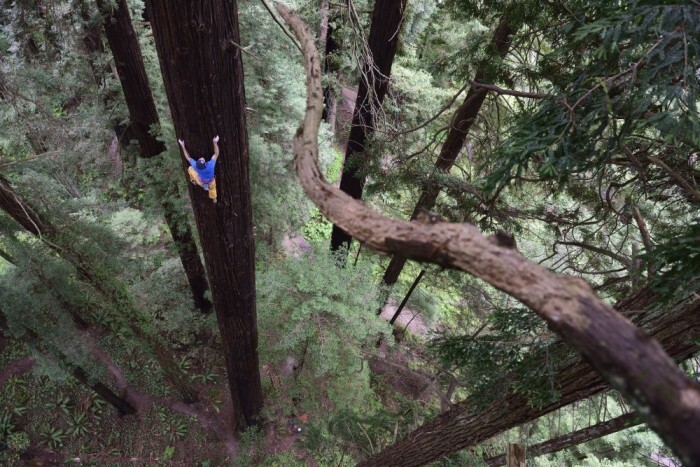 Chris Sharma, one of the world’s best rock climbers, recently climbed a redwood tree. 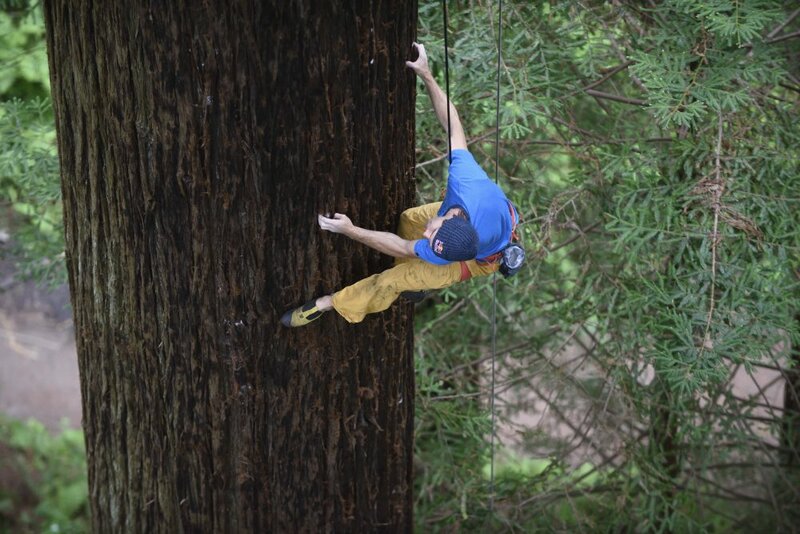 If you haven’t yet watched the video of Sharma climbing a redwood, check it out and read the back story here. It is remarkable and unique. We had the good fortune to talk with Sharma about the project prior to the video release. 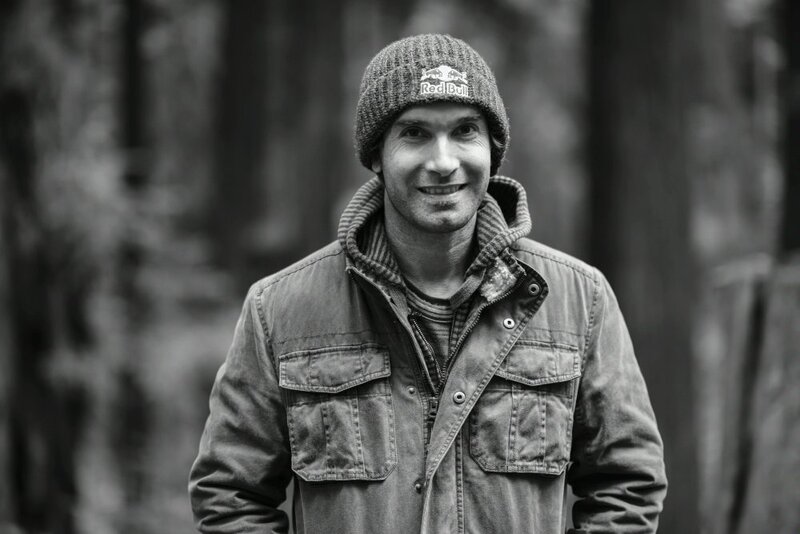 He candidly shared why he was so excited to climb a redwood, the challenges encountered in the unique environment, and even a teaser about what’s to come in his life split between the U.S. and Europe. It’s a long story. It almost dates back to even before I started climbing. Before I even knew what rock climbing was I was a kid climbing on trees. It’s interesting, as we go through life and come back to the same places, we see things with new perspectives. Climbing has taken me all around the world and I’ve seen a lot of amazing things. 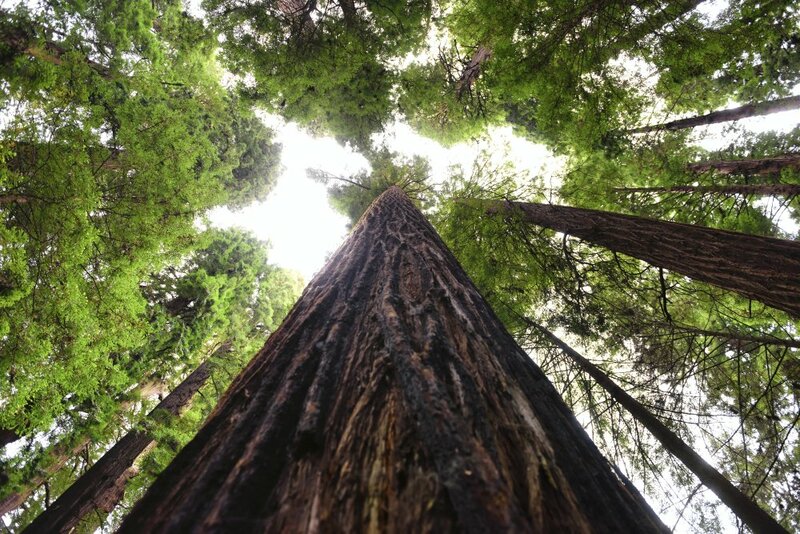 But whenever I come back to Santa Cruz I would always spend time in the redwood forest. I started to see those trees in a little bit of a different way and, in general, developing more appreciation of where I’m from. After climbing in Europe on limestone tufas, I looked up at these trees and it was like, oh my gosh, it’s like a wall of tufas or something. 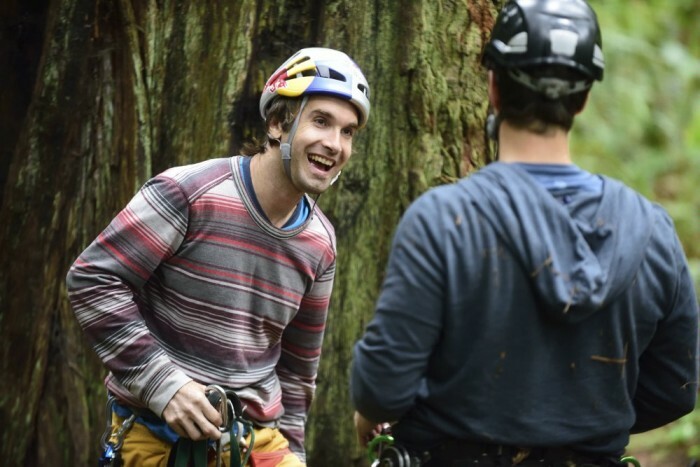 It’s kind of a goofy thing, but it was a fun idea to blend rock climbing with tree climbing. They’re so big, it’s essentially like a cliff face. Part of the climb was to measure the health and water in the tree. How did you go about that? It was really cool. 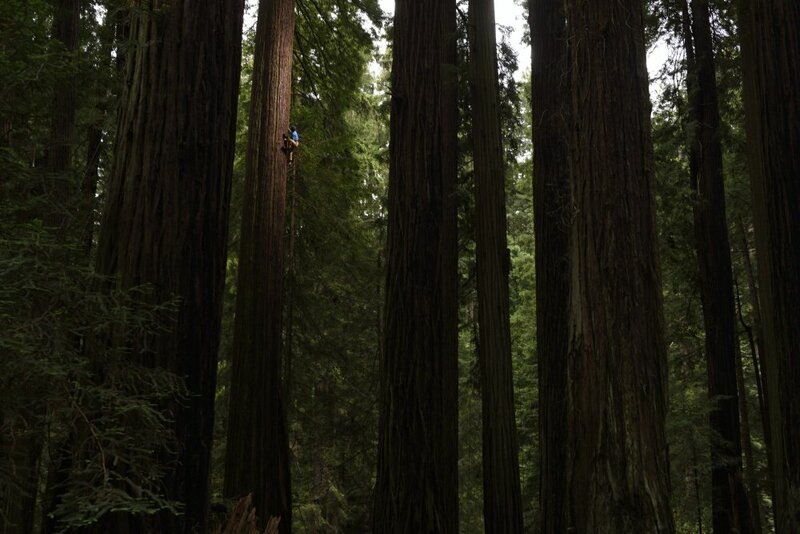 I’ve spent so much time in the redwood forest, but on a scientific level I don’t know that much. It was really cool to have these tree biologists – Anthony Ambrose and Wendy Baxter – along to educate me. 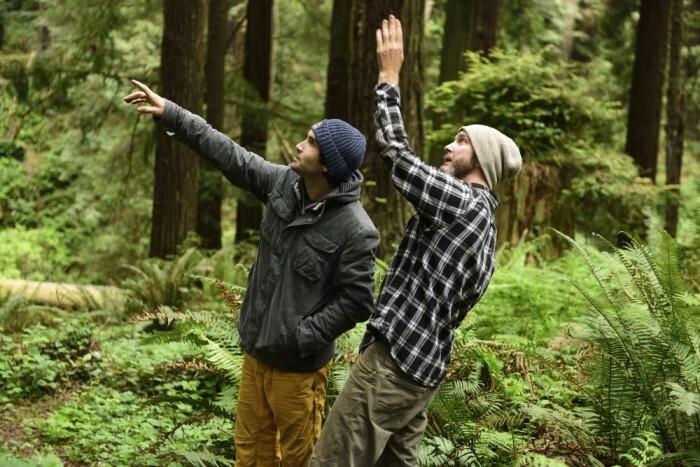 We were doing everything in the most cautious way not to damage the tree and to do research. It was cool. You start out by shooting an arrow over a branch. Then we jumared up, measured the tree, and did some tests. Did you use that as protection then, top-roping it basically? Yeah. By no means is this your typical climb. It’s not rock climbing. The climb itself is really hard. It was out of the question to do this unprotected. The bark is solid, but it’s not rock. It’s not enough to trust your life to. In the end, the ‘purest’ way was just to do it on top rope. It was a playful, almost spiritual experience. Doing it any other way it would be more contrived. When you say it was hard, could you compare it to a rock climbing rating? I had this dream for a long time. So I had an idea what I was looking for. But I don’t really have any experience at identifying tree climbs. The tree that I picked, it was really difficult. If I had to grade it, it would be around a 9a. It was really hard. I didn’t actually redpoint it. In the end, this whole experience, it wasn’t about trying to conquer anything or any cutting-edge achievement. It was celebrating, paying homage to these trees. What did you wear for shoes? I’ve climbed a bunch of trees before. I’ve done them barefoot. I knew this was going to be super difficult. I didn’t want to use standard climbing shoes because I didn’t want to injure the tree at all. I went to Evolv and we designed a shoe just for this. We did basically like a sock with a little layer of rubber on it. Kind of like a moccasin. There’s no edge so it won’t damage the bark. Finding the sequence was really difficult. There were specific spots that were solid and strong enough to grab onto. I ended up having to put a few tick marks on it. Every day when I went back, the tick marks had washed away because of all the moisture and humidity. It made remembering the climb really tricky. The first few times I went up the tree, I’d be looking at the bark trying to identify handholds, my eyes would kind of glaze over. I wouldn’t know how to look at it or translate into climbing terms. It’s such a foreign surface it was hard to decipher the sequence. One thing is opening up a climbing gym here in Barcelona. It’s been really cool, taking things to the next step. I’m really excited to open a space for people to come and build a community. There’s a lot of stuff going on!